As people in the U.S. expresses outrage over last weekend’s mass shooting in Tucson, we might well ask ourselves: Where’s the outrage over this? LAHORE: Of the 1,184 persons killed by the American drones in 124 attacks in 2010, around 59 percent were innocent civilians while the remaining 41 percent were terrorists belonging to numerous militant groups based in the Pak-Afghan tribal belt. According to data gathered by The News primarily from local and international news sources, 703 of those who were perished by the US drones between January 1 and December 31, 2010, were civilians, including women and children, while 481 others were commanders, fighters and activists of different militant groups. The drones hit three types of targets in the tribal belt – terrorists’ compounds, houses sheltering terrorists and vehicles carrying terrorists. Of the 124 drone strikes, the largest number – 53 (or 43 percent of the total drone attacks) – were directed at alleged terrorists’ compounds, followed by 41 strikes (or 33 percent of the total attacks) targeting houses allegedly sheltering terrorists while the remaining 187 attacks (or 24 percent of the total strikes) were directed at vehicles which were allegedly carrying terrorists. 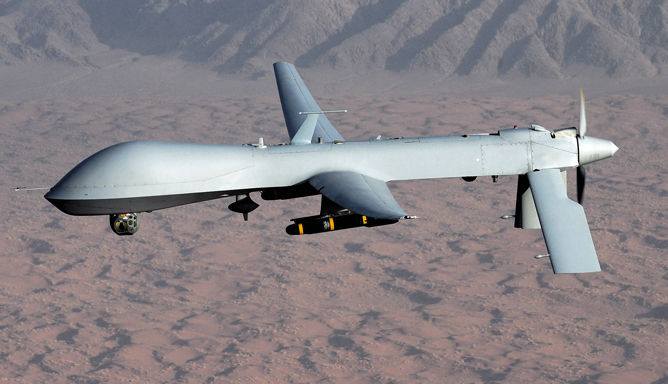 As the velocity of the American drones has increased enormously under the Obama administration, they are now hitting their targets with precision. Read the rest at The News International. You may recall the leveling of Fallujah, Iraq, in 2004. Four U.S. mercenaries violated security procedures and wandered alone into a dangerous part of the city. They were set upon by a mob and killed, their mutilated bodies hung from a bridge. The American retaliation, dubbed Operation Phantom Fury, resulted in the deaths of an estimated 1,300 Iraqis. The U.S. first denied then later admitted using white phosphorus weapons in violation of international law. The U.S. also used ordnance incorporating depleted uranium, a highly radioactive material. Today, the initial toll of 1,300 killed in Operation Phantom Fury appears to be only the beginning of what will surely be years of protracted illnesses and deaths from radioactivity. Don’t care about the Iraqi civilians who have been consigned to a slow and agonizing death from radioactivity? Then consider that the U.S. military personnel who participated in the operations were exposed as well. We can expect that these veterans will suffer for years and that the government that sent them to war will deny their illness is connected to depleted uranium. That’s standard operating procedure for the war industry based in Washington, D.C. Dramatic increases in infant mortality, cancer and leukaemia in the Iraqi city of Fallujah, which was bombarded by US Marines in 2004, exceed those reported by survivors of the atomic bombs that were dropped on Hiroshima and Nagasaki in 1945, according to a new study. 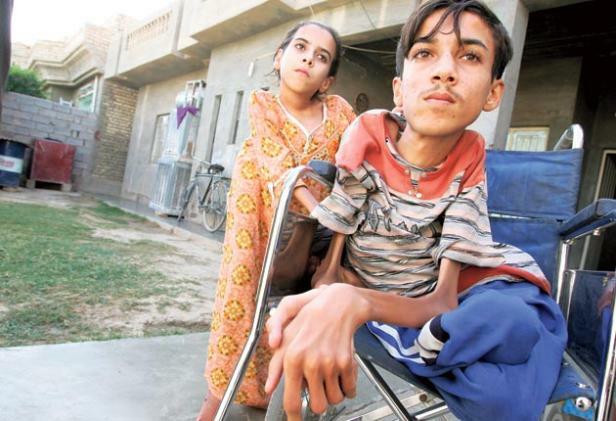 Iraqi doctors in Fallujah have complained since 2005 of being overwhelmed by the number of babies with serious birth defects, ranging from a girl born with two heads to paralysis of the lower limbs. They said they were also seeing far more cancers than they did before the battle for Fallujah between US troops and insurgents. Their claims have been supported by a survey showing a four-fold increase in all cancers and a 12-fold increase in childhood cancer in under-14s. Infant mortality in the city is more than four times higher than in neighbouring Jordan and eight times higher than in Kuwait. They’re Blackwater. They can do whatever they want, and that includes murdering civilians in cold blood. Do you think the murderers will pay any consequences? Don’t be silly. Private American security guards working for the US military in Afghanistan removed hundreds of handguns and automatic weapons from stores intended for the exclusive use of the Afghan police and used them on drunken shooting rampages that killed two Afghan civilians and injured at least two more. The guards included a former US Marine with a criminal record of assault and battery and a former soldier discharged from the US Army after testing positive for cocaine, Congress heard yesterday. Justin Cannon, Christopher Drotleff and a guard using the name “Eric Cartman” from the cartoon South Park were employees of a subsidiary of the Blackwater Worldwide group, implicated in a litany of extrajudicial shootings since 2003 in Afghanistan and Iraq. Cannon and Drotleff have been charged with killing two Afghans and injuring a third in an incident last May when they opened fire on a car carrying four civilians in Kabul, while under the influence of alcohol. The men, who were hired to train Afghan soldiers, had no permission from US authorities to carry guns. Read more at The Times Online.